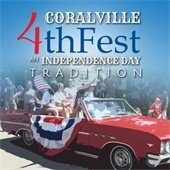 Coralville’s 4thFest is a few weeks away, but it’s not too early to make plans for the free Loverboy concert, parade, fireworks, carnival, and special activities! Events are held June 27 and July 1-4. The reconstructed S.T. Morrison Park/Recreation Center parking lot reopened a few weeks ahead of schedule. A new walking path on the south side of the lot gives patrons a safer route from the parking lot to the Recreation Center or to the sidewalk into the park. Reduce the number and severity of accidents when compared to standard intersections. Reduce vehicle delays and keep traffic moving at intersections. Reduce vehicle emissions due to decreased idling times. Typically cost less to construct and maintain than signalized intersections. 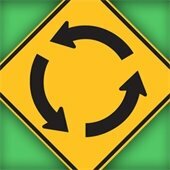 Learn more from the Iowa DOT about the benefits of roundabouts. Portions of 5th Street between 1st and 10th Avenues are closed until mid-August for street improvements and flood protection projects. 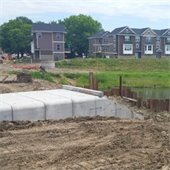 Recent work included installation of the new Biscuit Creek box culvert. The projects, combined with recent redevelopment, will result in a community-friendly, walkable corridor with trail connections, transit access, historic attractions, and public spaces. 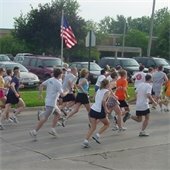 As recommended by RAGBRAI, the City adopted an ordinance regulating outdoor entertainment and vending for July 24 and 25, 2015, to help create and maintain a fun and safe environment for riders, visitors, and the community. This ordinance requires that any food or non-food vendor obtain a permit from the RAGBRAI Committee. Businesses that normally sell food, beverages, and non-food items are exempt from this requirement if they are serving or selling within their regular operating premises. 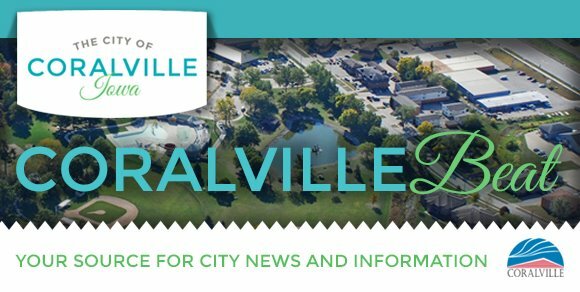 If you are considering any type of merchandise sale, food sale, or outdoor event during RAGBRAI in Coralville, please contact Chief Barry Bedford at the Police Department at 319.248.1800, or visit www.ragbraicoralville.com/vendors. The Center welcomed Evan Hilsabeck, new Managing Director, this week! 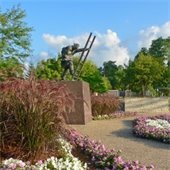 Join us for a reception and meet Evan on Tuesday, June 23 from 4:30 to 6:00 pm. Family Night: Ben’s Bubble Show!